The primary diet of marine iguana is algae, which can be found underwater. The females and smaller males will find the algae during the low tide. On the other hand, the adult males will get it by finding the algae underwater. Marine iguanas do not live alone. They form a colony, which lives, along the rocky shores. However, you can also find them living in beaches, mangrove and marshes. 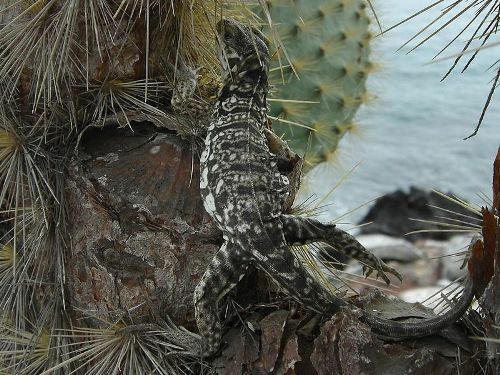 The appearance of marine iguanas is varied depending on the species and subspecies. Marine iguanas were described as disgusting and ugly animals by the early visitors of Galapagos Island. If you think that marine iguanas always have black color, you are wrong. Some of them may have gray color according to the collected adult specimen. During the breeding season, the male marine iguanas have brighter color. After the marine iguanas emerge from the water, the body will absorb the heat automatically due to the dark body color. Marine iguanas are impressive swimming even though they only have low level of agility on land. The length of marine iguanas from the snout to vent reached 4.7 to 19.3 inches or 12 to 49 cm. the length of marine iguana’s tail is around 6.7 to 33.1 inches or 17 to 84 cm. 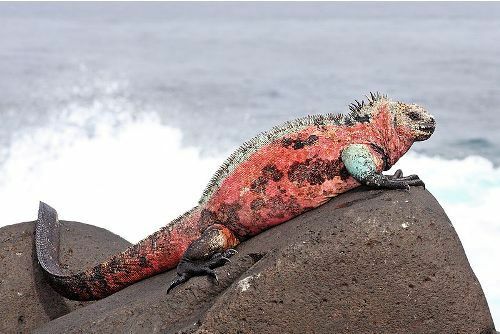 Sexual dimorphism is spotted in marine iguanas. The females have 70 percent less weight than the males. The mortality rates of marine iguanas are determined according to the size differences of sexes. Thus, the female have lower fertility rate than the males. Do you like reading facts about marine iguanas? 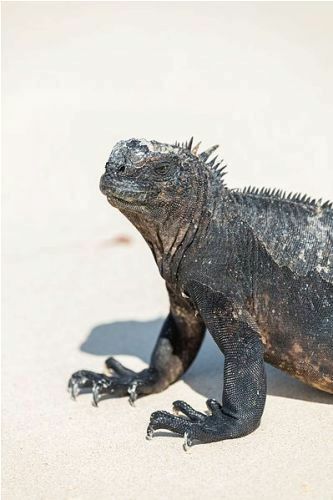 Share the post "10 Facts about Marine Iguanas"